You know there is a saying, actually two. Nothing ventured nothing gained! You only get out what you put in! These sayings apply to this winter time trip lead by Dean Clark, this is because it is a big effort to get on the road to get to Tekapo for an early start on the Saturday. Once started into this beautiful area all the hassles get forgotten on getting to the start! This is the 12 th year that Dean has lead this one, a big thanks to him, it is our best one! To those of you that couldn’t make it for what ever reason, hopefully we will see you along next year. 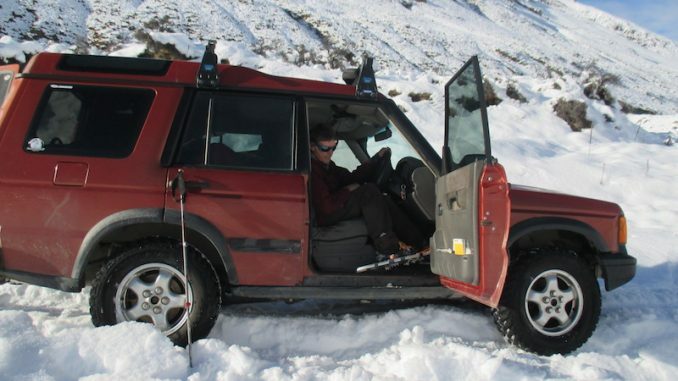 The side trip to the Godley Valley had to be cancelled on advice from Lilly Bank Station due to the amount of snow! Here are some pictures of things, me being towed by Callum after I went over a small bank of snow that was hiding a frozen crust with a metre of snow over a swamp. The small bank became a cliff, trying to get out by myself became impossible when I broke a CV joint, all fixed again now, ready for the Training Day at the Alexandra grounds on the 22 nd July, I hope to see you there for a fun day!